Titanium is a durable, lightweight metal that is very friendly to the skin. If you have ever had an allergic reaction to the nickel found in many metals - try Titanium! Titanium is dent-resistant but it is not scratch-resistant. Scratches can be removed/buffed out. Watch has a quartz movement and takes a standard size battery. 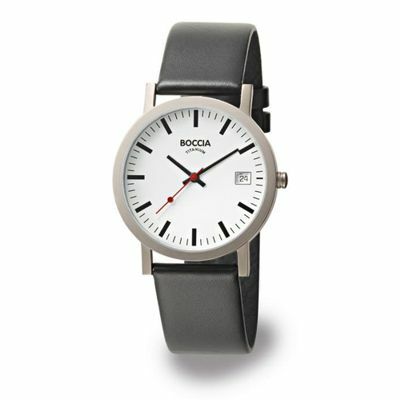 This watch style has a white leather band.